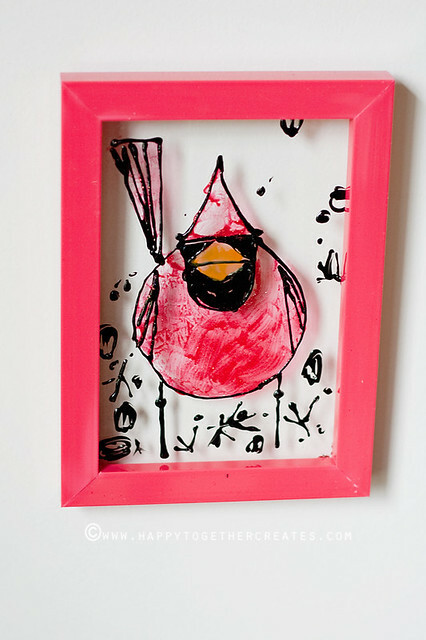 Today I have a diy that you can do or that you can do with your child even. This was a joint effort between miss J and I. I’m very happy with how they turned out. 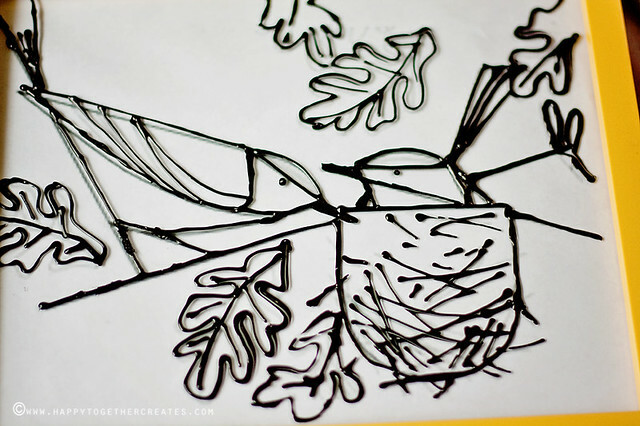 Decoart has come out with a ton of new fabulous glass painting products now available at Michael’s (in the section with the glass stuff) and they sent some to us to play around with. I thought of a few things but decided on this because I could do it with miss J. So, for the paint, I used this kind for the outlining and for filling in some parts. There are a few kinds available depending on the look you want (frost, glass stain, opaque). To begin, thoroughly clean the glass according to paints instructions. Then find a picture you want to replicate. 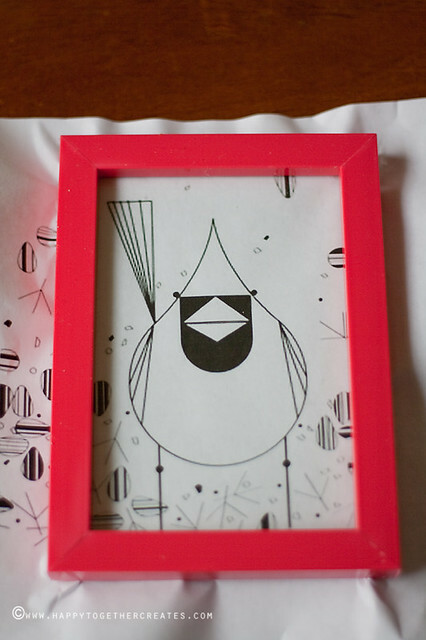 I used Charley Harper illustrations. I love his work! I printed them in the size I needed and then put it in the frame. It is held in with the frame back. You could use a coloring book page, your own drawing, etc. as well. Then take the writer paint of your choice and go over all the outside lines. Let it dry. 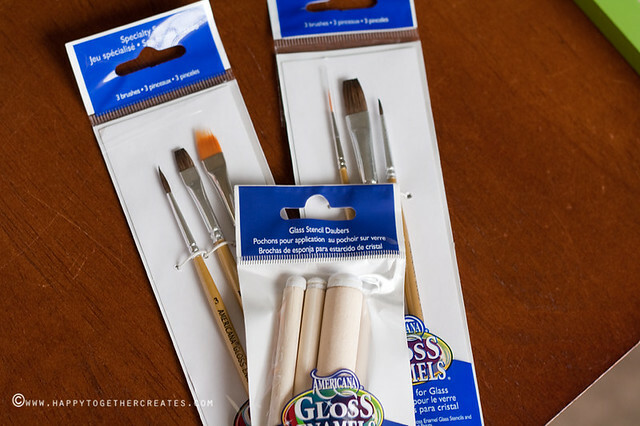 Once dry, grab some paint brushes and pick the colors you want to use. Then paint in where you like. Lastly, remove the paper, the back piece and the glass. 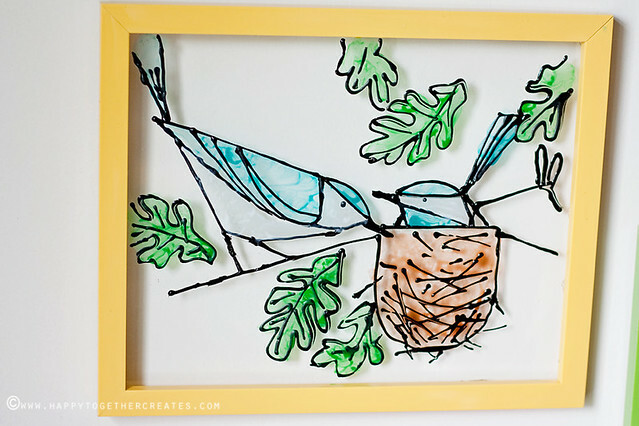 Put some glue around the inside edges of the frame and place glass back in. Let it dry and then it is ready to hang. 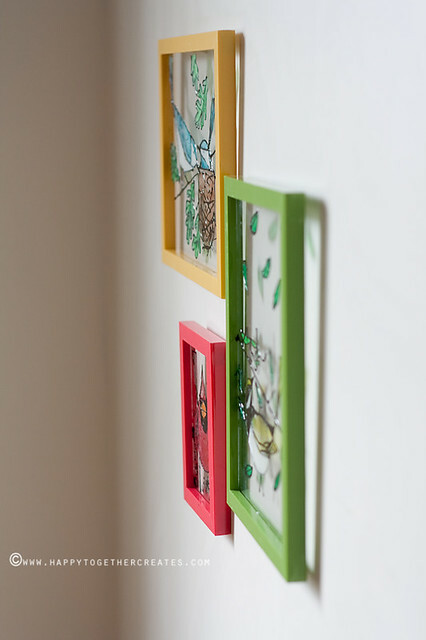 Now you have beautiful works of art that you can use on your wall/window or give away as a gift. 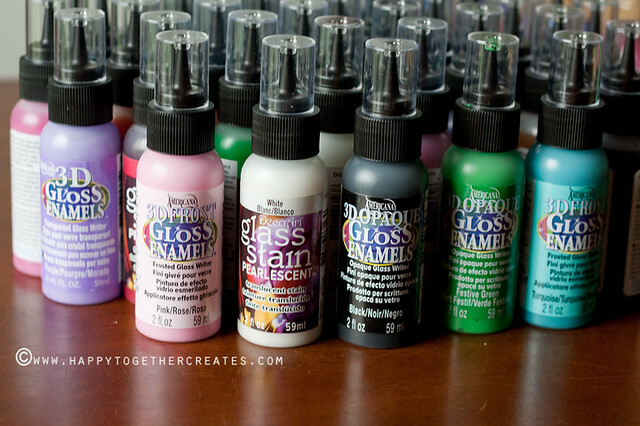 What would you make with glass paints? Very beautiful, it’s precious you did that with your children. These are memories you will forever cherish. Years from now when they are grown, they will look at these, remember and cry happy tears. me encantan !!!! son preciosos !! Cool. 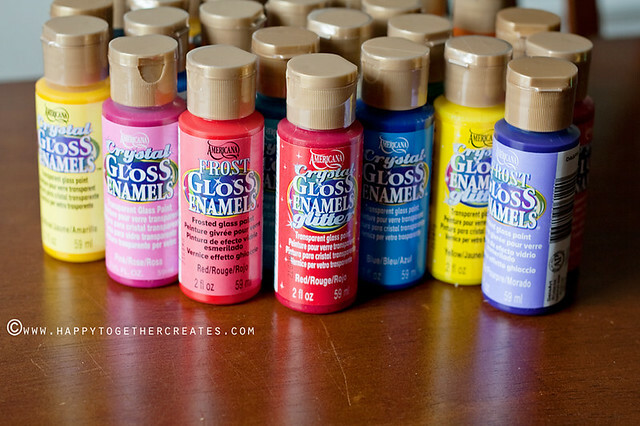 It reminds me of the ones my older siblings and my parents did with enamel paints when I was a little kid. These really are wonderful. I’m off to check out Charley Harper. Cool- I know my kids would love to try this. Love your beautiful birds. Charlie is awesome. 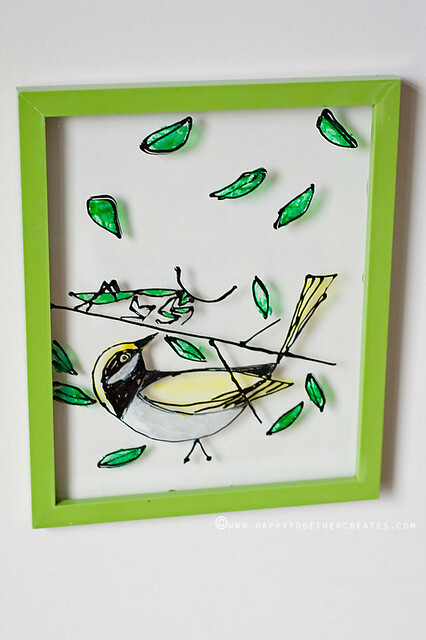 these are so cute…i am loving different birds right now and this is great! They are so beautiful. My kids gonna love it. 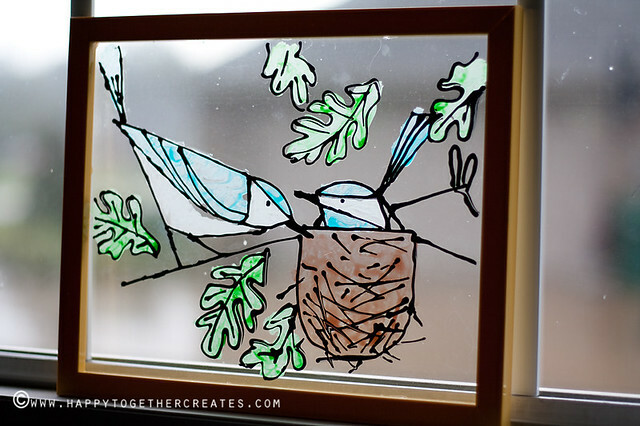 They haven’t paint on glass. 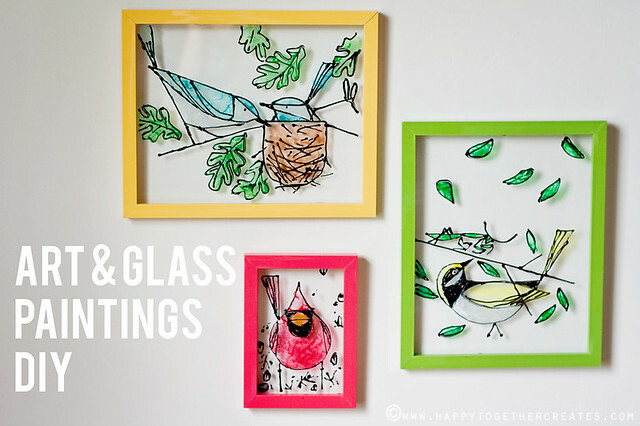 Add this diy projectfor our family activity.